What can dental implants do for you? Do I need a dependable replacement for lost teeth? Do I value conservative dental solutions? Are my dentures loose, or do they slip? Am I tired of hassling with denture maintenance? Do I want to reclaim a beautiful, solid, fully functional smile? If you answered yes to any of these questions, implant dentistry may be perfect for you. Dental implants are replacement teeth that feature a post and a crown and imitate the feel, function, and appearance of natural teeth. Implants can replace individual teeth or secure a denture, making them the most popular restorative and cosmetic dental procedure for a multitude of patients with missing teeth. 50 million Americans have lost all of their teeth. ¼ of people over the age of 65 have lost all of their teeth. 26 percent of adults over the age of 74 have lost all of their teeth. 69 percent of adults have lost at least one tooth. Dental implants have a 95 to 98 percent success rate. If you’re embarrassed by holes in your smile or you want to achieve a beautiful, fully functional smile and a renewed quality of life, call Wager Evans Dental at (775) 800-4845 to reserve an appointment. Dr. William Wager and Dr. Brian Evans can revitalize your smile with dental implants, and the process begins at your consultation appointment at our Reno, Nevada dental office. Missing teeth can be a source of embarrassment, but your oral health and appearance may decline, as well. Without a full set of teeth, the structure of your face is less supported, causing your facial muscles to sag and make you look older. The inability to bite and chew properly can lead to malnourishment or improper nourishment, which can lead to overall health issues. 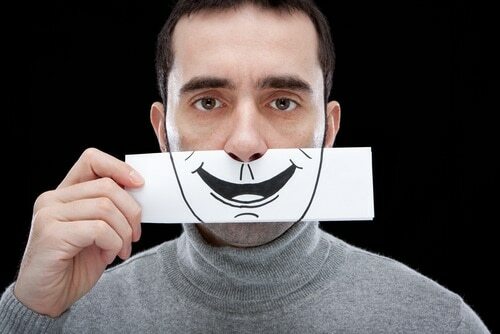 Speaking may become difficult, limiting your social interactions. Additionally, missing teeth prompt remaining teeth to shift in an effort to compensate for the gaps. If you’re missing most or all of your teeth, you know how debilitating the condition can be. Dentures may be the best treatment option for you. We offer two kinds of dentures at Wager Evans Dental. A partial denture replaces multiple teeth on the upper or lower arch. Partial dentures fill the spaces between your teeth so that your smile looks complete, healthy, and functions properly. Partials attach to neighboring teeth with unnoticeable clasps. Full dentures, on the other hand, are a complete row of prosthetic teeth attached to a gum-colored base. A set of full dentures can replace all upper and/or lower teeth. The one complaint that we hear the most about dentures is that they can loosen, wobble, or slip out of place. Over time, the ridges on your jaw will wear down from friction, which can cause your dentures to fit less securely. In this situation, dentures must be realigned and adjusted. Adhesive creams can secure your dentures, but we suggest implant-retained dentures for the most natural and secure fit. We’re Dr. William Wager and Dr. Brian Evans, and we recommend dentures for patients looking for a solid, reliable, and attractive smile. Call our dental office in Reno, Nevada, at (775) 800-4845 to learn more about dentures and dental restorations. Did you know that individuals with full smiles tend to live longer than those with missing teeth? Also, did you know that people with healthy, visually appealing smiles tend to be more successful both personally and professionally? You deserve a high-quality lifestyle, without having to worry about dietary restrictions, health concerns, and the embarrassment that often accompanies tooth loss. I’m Dr. William Wager, a dentist in Reno, Nevada, and I can renew your smile and improve your quality of life with dental implants. Dental implants are the closest prosthetic to natural teeth. 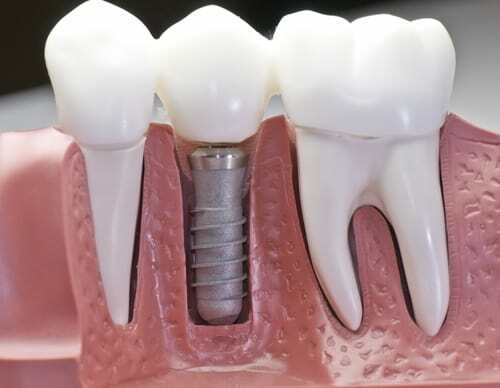 Dental implants are made up of two parts: a small, titanium post that serves as the root of your tooth, and a porcelain replacement tooth that functions as the crown. Implants are just like natural teeth. You care for them and use them just as you would your natural teeth. With the proper care, dental implants can last a lifetime, which means that you never have to worry about eating, speaking, and biting normally ever again. Additionally, dental implants are amazing restorative dental devices because they can stimulate your jawbone and promote jawbone growth. This protects you from tooth loss and change of your facial structure in the future. Dental implants can replace a single tooth or stabilize a denture, partial, or bridge. 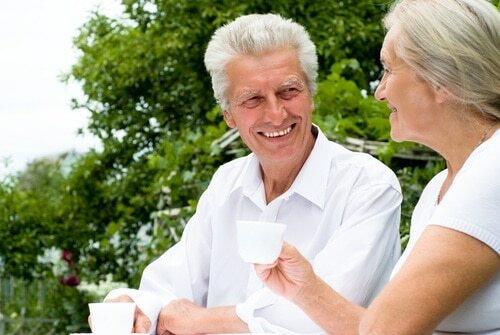 I also offer mini implants for an immediate-placement option for implant dentures. Patients with jawbone deterioration are often good candidates for mini implants. If you are ready to renew your smile and get a new lease on life, I encourage you to schedule a consultation appointment at Wager Evans Dental. If you decide to proceed with treatment following your consultation, I can place and restore you dental implants right here in my office, allowing me to manage your total care under one roof. You most likely will not need to see a specialist because your entire smile makeover can be completed in my Reno dental office.